Blood Orange is best known for its sweet and zesty citrus aroma with notes of musky earth. Its flavor is similar, though slightly more sour. True to its name, this strain provides a bold and intense citrus taste with a surprisingly tangy aftertaste. The Blood Orange strain induces both relaxation and euphoria. 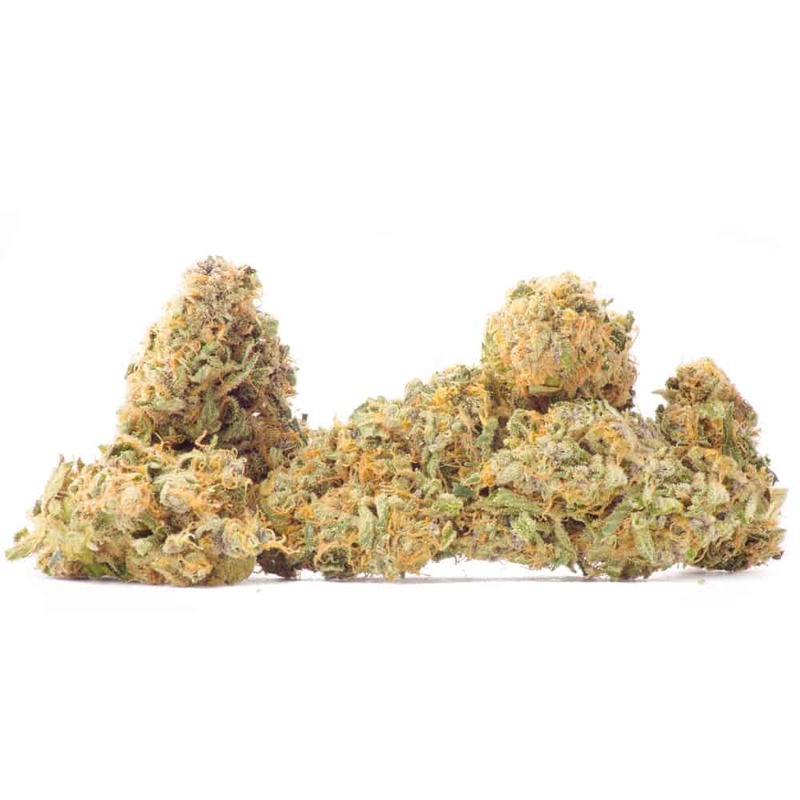 The sativa in this strain is capable of energizing and clarifying the mind. It is a fun strain for all tolerance levels and makes for a good morning indulgence. Use it if you suffer from fatigue. 8 reviews for "Blood Orange – Sativa"
Great taste. Throat tickler alert! Was disappointed with the lack of blood when i opened the pakage but was delighted by the amazing smell, taste and feel of this strain! Great daytime bud! Excellent for daytime use with its strong sativa effects. Slight musky earth taste. Amazing variety for day time use. Good pain relief and still super hyper and positiv mood. Love it! Gold Bud’s standards are leagues higher than others by far and this is just another example. This herb is just fantastic in every way..